Founded in 1968, Spen Bearings are today one of Yorkshire’s largest Independent Authorised Distributors of maintenance, repair and overhaul products (M.R.O.) We supply an unparalleled range of products, Bearings, Seals and Gaskets, Belts and Pulleys, Chain and Sprockets, Motors and Gearboxes, Linear Motion, Adhesives and Lubricants, Hydraulics and Pneumatics, Tools and Fasteners, Wheels and Castors, P.P.E, Electromechanical repairs and refurbishments and ancillary products. Specialist supplier of miniature bearings, thin section bearings and corrosion resistant bearings and bearing relubrication specialists. Scotia Bearings Limited (established in 2004) has become one of Scotland\'s premier independent distributors of bearings and power transmission products. Scots Bearings is Scotland\'s largest stock holders of bearings and power transmission products offering 24 hour customer service and repair. Redvan Bearings is a supplier of Super Precision and Precision Bearings. 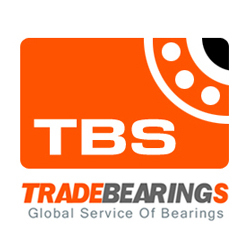 We hold a stock of many bearings but are able to obtain and supply non stock items on request. We specialise in the supply of rare and obsolete bearings as manufactured by Hoffmann, RHP, Pollard and Ransome & Marles (R&M) Bearings. Established in 1978, Main Line Bearing Company Limited is one of the largest bearing, belts and transmission distributors and stockists in the UK.